For all the Bigg Boss 12 fans, here is a good news for you, the wait is over, BB 12 is here! The stage is set for the India’s most controversial reality show Bigg Boss 12. 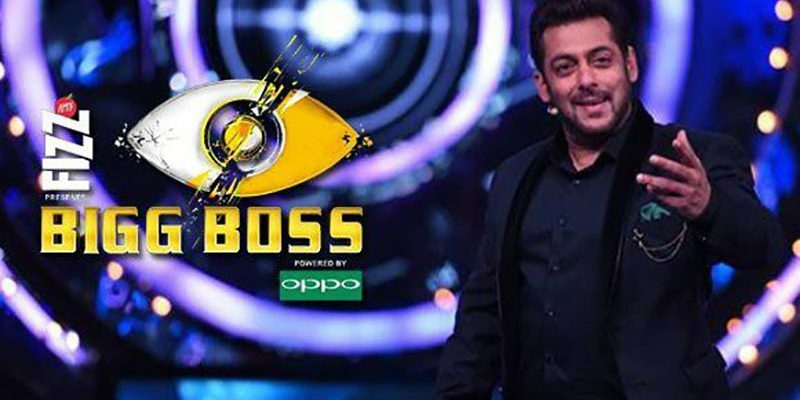 Bollywood aka Khan and host of the show Salman Khan shot the Bigg Boss premiere last night in Lonavala with all the 18 contestants who will be seen in the BB season 12. This season, we have a category of cop, lovebirds, lawyer, makeup artist, sisters and farmer as BB 12 contestants. This year, the Big Boss maker comes with a unique theme of common man and celebrities who will be surviving the tough times in the locked house. The unique thing about this season is the concept of jodis that comes for the first time. While, there are many celebrities who take a solo entry, the commoners are entering in pairs. The contestants will be locked for the next 100 days in the BB 12 house. The Big Boss house has been given a beach theme and designed and created by Omung Kumar. So, let’s take a look at all the Bigg Boss 12 contestants. Karanvir Bohra: Naagin fame Karanvir Bohra has done many TV shows, Kyunki Saas Bhi Kabhi Bahu Thi, Kasautii Zindagii Kay, Shararat, Saubhagyavati Bhava to name a few. The actor has done many reality shows and daily soaps such as Jhalak Dikhla Ja, Nach Baliye and Qubool Hai. Karanvir is happily married to model-VJ Teejay Sidhu and they have twin daughters – Vienna and Bella. It is evident in the initial days of Bigg Boss, that he is one of the strongest contestants in the BB house. Dipika Kakar Ibrahim: The popular face on Indian television, best known as Simar from Colors show Sasural Simar Ka, entered in Bigg Boss 12 house as a solo contestant. After years of association, Deepika quit the show and married Shoaib this year. Dipika also participated in many reality TV shows like Nach Baliye and Jhalak Dikhhla Ja. She recently made her Bollywood debut in JP Dutta’s Paltan. 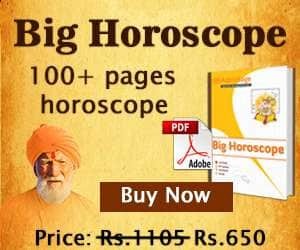 In Bigg Boss 12, she is expected to fill the space of Hina Khan as an idol bahu. Neha Pendse: Neha Pendse got the TV fame with the telly show May I Come in Madam? She was also the part of Kapil’s new show, Family Time With Kapil Sharma. The actress is a popular face since childhood and has done many TV shows including Entertainment Ki Raat. She has done many Telugu, Marathi, Tamil, Hindi and Malayalam films. She also made headlines in the recent time for shedding weight with the help of pole dancing. She is seen as a bold actress in the Bigg Boss season 12. S. Sreesanth: The famous Indian cricketer S. Sreesanth has taken the powerful entry in the Bigg Boss season 12 house. His sense of humour and temper both are something that people are greatly aware of. He has also done popular dance reality show, Jhalak Dikhla Jaa. As per the sources, it has been said that the new season of Khatron Ke Khiladi will also see his presence as a contestant. Anup Jalota and Jasleen Matharu: Keeping the theme of Jodi, Anup Jalota, famous devotional singer and musician, enter in BB house with his student Jasleen Matharu. She is a singer, actor, and performer. She has performed with singer Mika Singh and has been doing troupe shows for over three years all over India. The duo has confirmed the relationship. Srishty Rode: Srishty is another popular face on Indian television. Hails from Mumbai, she has done many TV shows including Choti Bahu 2, Ishqbaaaz, and Saraswatichandra. She is reportedly engaged to Manish Naggdev. She is a close friend of famous Indian TV bahu, Rubina Diak. Romil Chaudhary and Nirmal Singh: A vichitra jodi from Haryana, Romil Chaudhary and Nirmal Singh enter in Bigg Boss house season 12. While the former is a lawyer, the latter is a policeman. It has been observed that the two are going to add uniqueness to the show. Somi Khan and Saba Khan: Saba khan and Somi Khan are two sisters from the pink city, Jaipur. The two sisters are a great support to each other in the house. They are so confident of winning the BB season 12 show and have decided to work as a duo. Sourabh Patel and Shivansh Mishra: Sourabh and Shivansh hail from Madhya Pradesh and are part of the commoner jodi in the Bigg Boss house. While the former contestant is a farmer and the latter contestant is a businessman by profession. The two share their own reasons to be on the show. Roshmi Banik: Roshmi Banik has been selected in the Bigg Boss outhouse, with the help of public voting. She hails from Kolkata and is 26-years-old. She was aspired to be in the glamour world and hence could be one of the reasons why she has participated in the Bigg Boss season 12. Deepak Thakur and Urvashi Vani: Gangs of Wasseypur singer Deepak Thakur enter in Bigg Boss show just to add uniqueness, the audience will get to see him with his ardent fan Urvashi Vani. It is said that Urvashi had eloped from her house just to meet the singer. Kriti Verma: An ex-Roadies contestant, Kriti is now a part of Bigg Boss season 12. She was in the outhouse before the premiere of the BB 12 show and was selected because of her wide popularity. Although she came with Surbhi, but she decided to partner with Roshmi Banik in the Bigg Boss show.